For the puzzle lover! 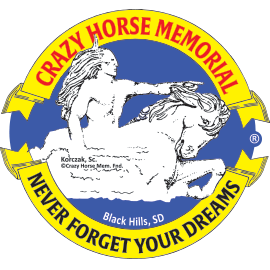 A beautiful representation of the past and present - this 1,000 piece puzzle features the Crazy Horse Memorial® Mountain carving, in combination with the model and a historic image of Korczak. The finished puzzle measures 24" x 30". Ages 12+. Made in the U.S.A.